Shopping for Wonder Woman Action Figures: Bendables? Twist and bend DC Comics' most popular superheroine in any way you choose with the Wonder Woman 5 1/2-inch Bendable Figure! This Wonder Woman figure measures 5 1/2-inches tall and makes a great collectible for those into vintage styled toys. 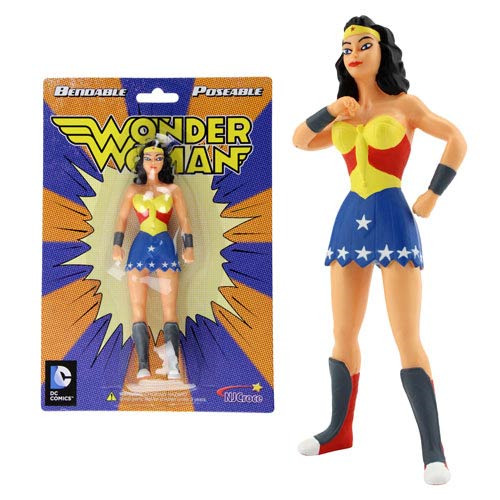 Bend and pose your favorite DC superheroine with the Wonder Woman 5 1/2-Inch Bendable Figure! Ages 4 and up.